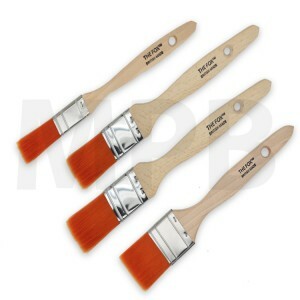 Bundle includes: 1 x size 8 1 x size 10 1 x size 12 .. 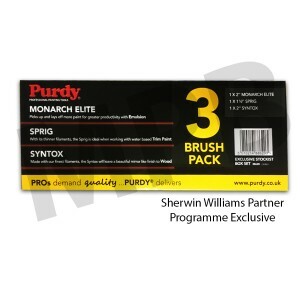 Bundle includes: 1 X Size 14 1 X Size 16 1 X Size 18 .. 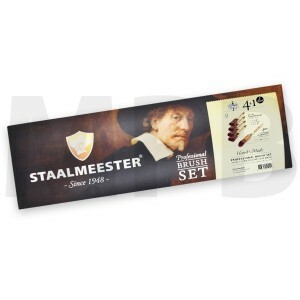 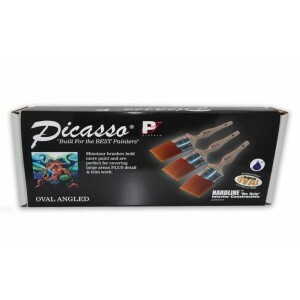 The Picasso Minatour Angle Cut Set of 3 Set includes: - 1 x Picasso Minatour Angle 1.5" - 2.. 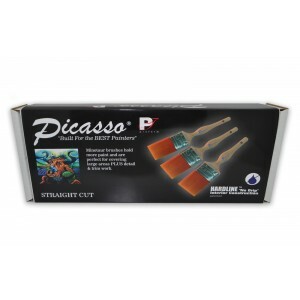 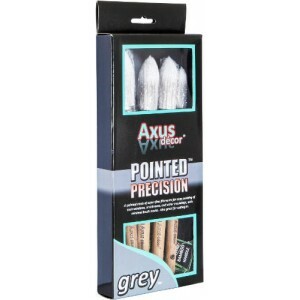 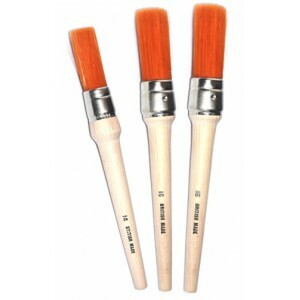 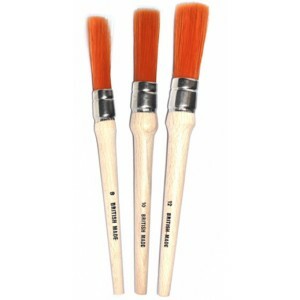 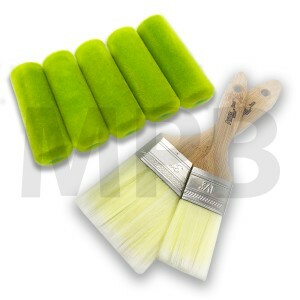 The Picasso Minatour Straight Cut Set of 3 Set includes: - 1 x Picasso Minatour 1.5" - 1 x ..
Axus decor Grey Pointed Precision Brush Pointed stock of super fine filaments for easy painting..
Axus Decor Lime Wood Finishing Bundle Set Includes: 5 x Axus Decor Lime Wood Finishing Ve.. 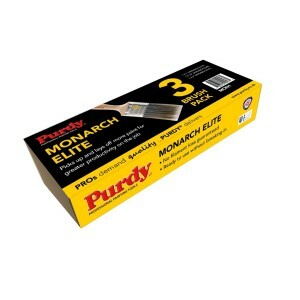 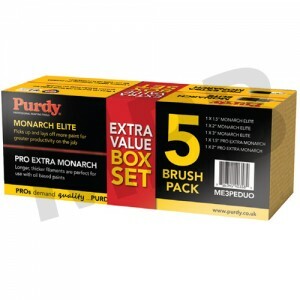 Bundle Includes: 1 x 3/4" Fox Ultra Slim 1 x 1" Fox Ultra Slim 1 x 1.5" Fox Ultra Slim 1..
Purdy Monarch Elite Box Set of 3 Includes: 1 x 1" Monarch Elite 1 x 1.5" Monarch Elit..
Purdy Monarch Elite & Pro Extra Monarch 5 Pack Great value set Set includes: ..
Purdy Partner Exclusive Box Set 3 Pack Set Contains: 1 x 2" Monarch Elite 1 x 1.5" Sp..
Staalmeester MyPaintbrush Round Sash Set 5 Pack Set Contains 2 x 14 Staalmeester Round Sash ..
Staalmeester Brush Welcome Kit Kit Contains: 1 x Staalmeester Round Synthetic Sash - Size 16 (..
Staalmeester Flat Brush Set 4 Pack WIth Free Sash Set Contains: 1 x 1" Staalmeester Synthetic ..
Staalmeester Flat Brush Set 5 Pack WIth Free Sash Set Contains: 2 x 1.5" Staalmeester Syntheti..
Staalmeester Pointed Sash 4 Pack With FREE Brush Set Contains 1 x 12 Staalmeester Pointed Sash..